Imprint Method: 1 Color 1 Location - From boarding passes to trip itineraries to insurance documents, this travel policy wallet will keep your customers organized! Made of soft vinyl, this wallet features 2 full-length clear vinyl pockets to store a variety of materials. Printed with your logo, it's a great giveaway for travel agencies, airlines, cruise lines and insurance companies. 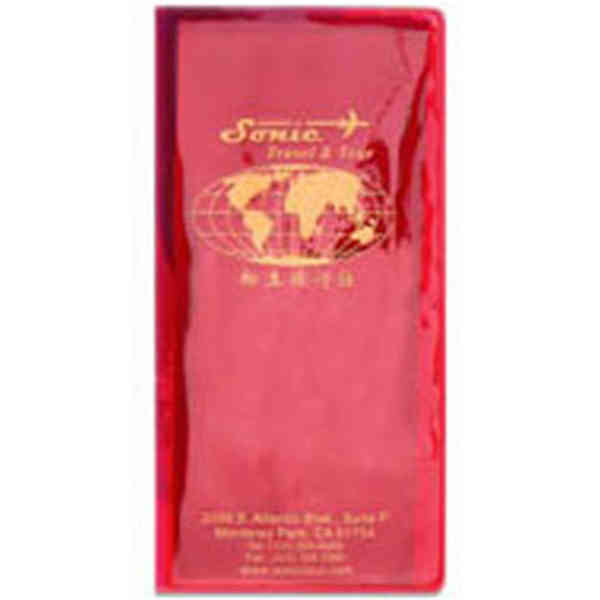 Each USA-made wallet measures 4 1/4 x 8 1/2 and is offered in a large selection of vibrant colors. Size: 8.5 " x 4.25 " x .01 "
Imprint Size:3.875" x 8.375", 3.875" x 4"